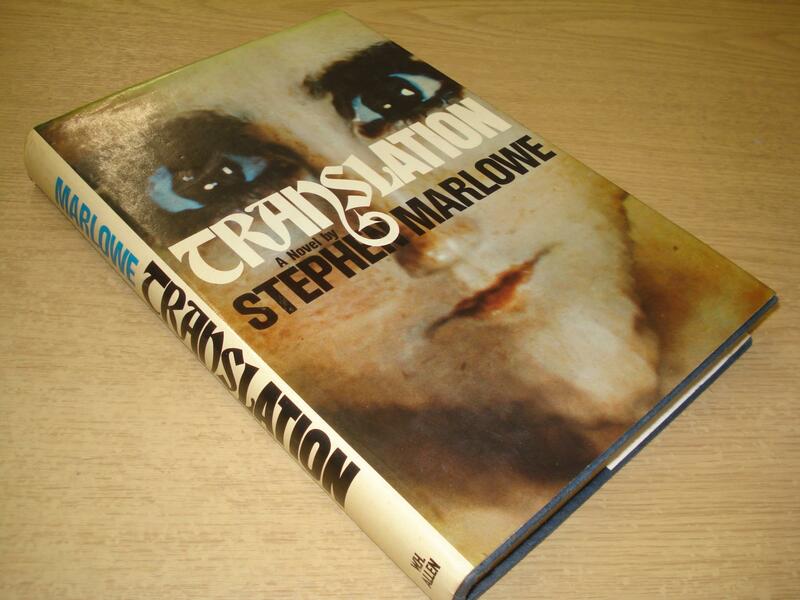 Stephen Marlowe - Translation (1978) | Vault Of Evil: Brit Horror Pulp Plus! 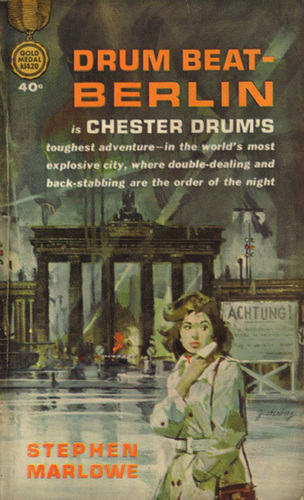 Born Milton Lesser, by which name he wrote a number of pulp SF novels (cf The Black Planet, 1969) and short stories, the writer later changed his name to Stephen Marlowe becoming known as the author of a successful series of 'Chester Drum' detective novels. 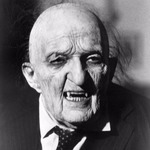 He also wrote fictional autobiographies of Christopher Columbus, Spanish author Miguel de Cervantes, and Edgar Allan Poe. 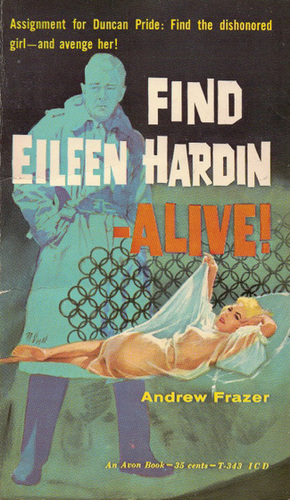 Lesser also wrote under the pseudonyms Adam Chase, Andrew Frazer, C.H. Thames, Jason Ridgway and Ellery Queen. He was awarded the French Prix Gutenberg du Livre in 1988, and in 1997 he was awarded the "Life Achievement Award" by the Private Eye Writers of America. He lived with his wife Ann in Williamsburg, Virginia. Some details here from Wikipedia. The story opens with pretty Melody Garrick limping through the twisting streets of the Old Town of Bourg St Martin. We later learn that Melody has limped ever since she was involved in a motor accident which killed her mother. Her disability and ‘gamine grin’ has made her a favourite of the locals in the French town where she’s come to continue studying French art; and Raoul, a gipsy boy, has developed a crush on her since he found her studying the gipsy paintings of Jean-Baptiste Columbine in the museum. Raoul introduces her to his grandmother, the Romany wise woman Bibi Tita. The time has come when Melody has to return to the States; but before she leaves, Bibi Tita makes her a gift of a battered notebook, which she says was the notebook of Jean-Baptiste Columbine, written when the artist mad. The scene switches to America and the town of Martinsburg, Melody’s home town, which is to be twinned with its French namesake. To celebrate the event, many of Bourg St Martin’s art treasures have been flown in and now are being driven from the airport in Mat Hawley’s truck. This one is enthusiastically written and fairly bowls along. I bought this one because a friend who's a big fan of Marlowe's biographical novels of Goya, Cervantes and Columbus loaned me his fantastic book based round the life and death of Edgar Allen Poe, "The Lighthouse at the End of the World", and I was keen to see how he'd tackle a genuine horror story. 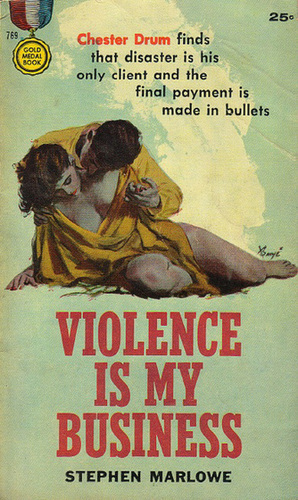 I thought it was a pretty good book, without being bowled over by it. I couldn't help feeling that he'd done his research for the Goya book, "Colossus" and that had led to this, while the publisher's were looking for something Stephen King-ish, as the cover is far more lurid than the contents. 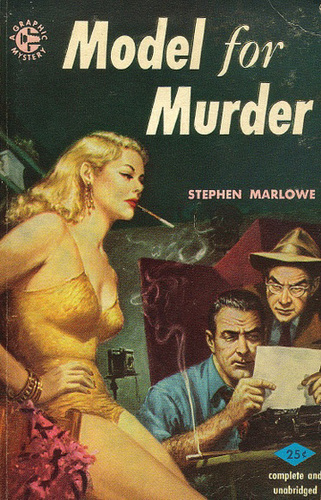 A little off topic perhaps, but us old-timers can get away with this sort of thing - Stephen Marlowe was a damn good writer, no matter what genre he was attempting, and is one of few authors I can think of who successfully managed to transform or morph their careers as he got older. 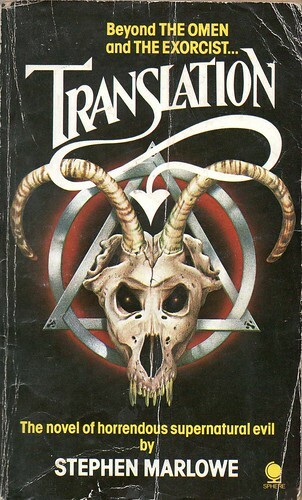 From his start in science fiction pulps as Milton Lesser in the early fifties, he went on to produce the "Chester Drum" mysteries for Gold Medal amongst others, before transforming again for the espionage-tinged thrillers of the late sixties and lastly for his critically-acclaimed 'fictional biographies' of the eighties and nineties.